This recorded webinar will help you learn specific keys that are required for a good plan and schedule. These elements enable timely decisions and steer the project to its successful completion. 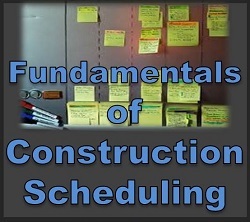 The course covers the more advanced aspects of scheduling and scheduling techniques as well as the plans that underlie schedules, and is crucial for any project and constructor, design professional or project manager in today’s complex construction environment. Owners, CM and A/E Contract Administrators are well served when they can read and interpret contractor-submitted schedules, so they can understand the contractor's plan and know their own commitments to both the contractor and stakeholders. 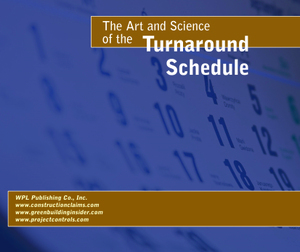 Additionally, knowing how to read a schedule helps mitigate delays and address potential or actual delay claims. 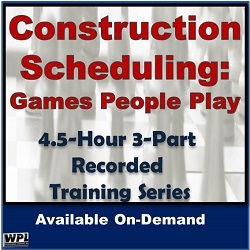 This introductory course is designed to help you become fluent in construction scheduling over a very dynamic, two-afternoon recorded webinar series from the comfort of your office or conference room. 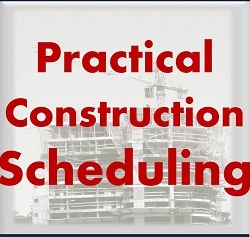 Scheduling is a critical part of construction project management today. It is used not only as a project control tool, but also as a reporting tool and as a base to support or argue claims. 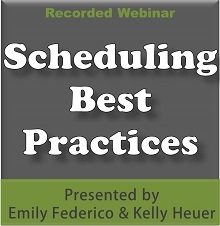 Listen to this program to learn fundamentals of schedules and scheduling, and help you and your staff understand how schedules work, how to read them and how to put them to use to ensure a successful project. 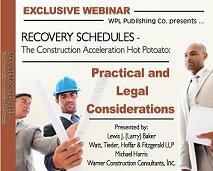 When a construction project falls behind schedule, the owner may require the contractor to submit a recovery schedule. Issues arise over whether the recovery schedule is realistic, what the direct and indirect costs will be, who should pick up the cost, and frequently, whether the need for a recovery schedule actually exists in the first place! Contractors preparing a recovery schedule need to understand the various impacts in addition to possible overtime, on their own labor and equipment resources, as well as their subcontractors. Impact costs such as crowding, stacking of trades, and greater rework requirements are not uncommon. Moreover, costs and time savings are usually best planned by working with resource-loaded CPM schedules to focus only on those activities that are most likely to reduce the remaining contract duration, i.e., activities on the critical path. Owners, their representatives and construction managers need to be just as wary of the acceleration, as they may very well be footing the bill! This 4th edition is designed to transition the seasoned Primavera P3 scheduler to the useful features of P6 while avoiding potholes and time-consuming deadends. Critical Path Method (CPM) Tutor for Construction Planning and Scheduling explains the practical application of the CPM and guides you through each step of the process ? from planning and communication to deciding payment and/or claims. The book focuses on the Arrow Diagram Method and the Precedence Diagram Method, the two most widely used scheduling methods. WPL Publishing has posted a report containing the final results of its inaugural Construction Scheduling Software Survey on its ConstructionPro Network (CPN) website. CPN members can access the 32-page report free of charge by clicking here and, if not already logged in, entering the appropriate information into the "Email" and "Username" fields. Non-members can access the report either by signing up for a membership here or by purchasing it at the CPN Bookstore here. We would like to thank everyone who participated in the survey and look forward to conducting research into this subject in the future. 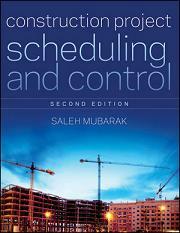 For courses in Construction Management, Scheduling/Project Control in Civil/Construction/Engineering Technology. 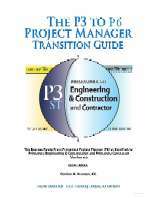 Written by a career construction professional, this text about scheduling and project control addresses the average student, detailing all the steps clearly and without shortcuts. 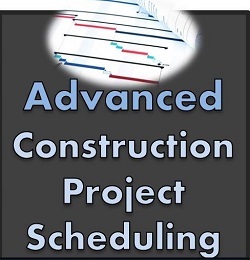 Solved and unsolved exercises cover all subjects, computer software programs for construction are included, and presents precedence networks as the realistic solution to scheduling, the main part of project control. There's no question about the value of a good construction schedule. However, some aspects of creating and updating a schedule can be time consuming and counter productive. 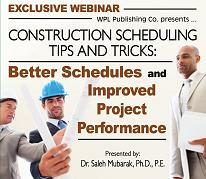 In this 3-hour online workshop, construction expert and scheduling author Dr. Saleh Mubarak provides an inside look at a collection of tips and tricks that can have a big impact on your schedule's quality, finish date, cost, or even liability. Originally developed for an all-day class, Dr. Mubarak provides over two-dozen tried-and-true techniques developed from over 20 years of construction scheduling experience.